Graphic design is at the heart of iHomepage Design Studio and strong creative is fundamental to our success. We deliver stationery, brochures, prospectuses, exhibition stands, leaflets, posters and bill-boards for a range of clients across a range of industries. We will firstly take a brief from you and work to understand your business and objectives. We’ll then move to deliver creative concepts that truly wow. From the initial concepts we’ll move to finalise artwork ready for print. We’re also experienced in recommending finishes and paper for print, looking at budgets and ensuring that the final product will work for you. In addition, we can handle the printing on your behalf taking away the pressure of finding the best quotes and utilising a trusted network of printers we’ve built relationships with over many years. Let us freshen up your graphic design and create something truly memorable today. Before getting carried away with sketches we like to find out the ins and outs of your business. Once we know what you do, how you do it and who you do it for we can make the most of your marketing material. Your logo design is the shop window to your business so it’s important to get it right. We create unique and clever brands for businesses of all shapes and sizes. Read more about our process below or get in touch to discuss your new logo design now. We’ll ask you some important questions, they'll help us to understand your business, your market and your aspirations. Now that we know how your business needs to present itself we’ll produce a range of logo designs that best suit your market. Once developed and you’re 100% happy we can show you how best to use your fantastic new logo to your advantage. When you only get one chance to make a first impression, it’s key that your business card creates the right one. 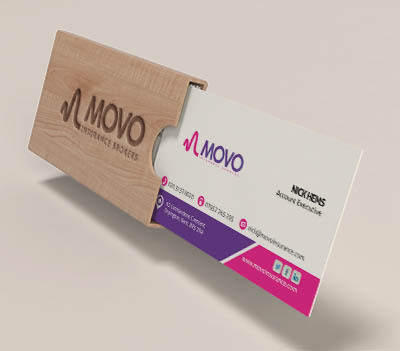 From the design style and shape to the colour and feel, we know how to create a business card that says all the right things about you and your company. Our Croydon CR0 iHomepage Design Studio can make sure that you succeed. Read on to find out how. As the saying goes, you only get one chance to make a first impression. That’s why it’s critical that you have a great business card, that not only presents your details clearly, but also gets you remembered over your competitors. We create cards that will make the right impression with your contacts. Business cards are a great way to leave your details with your contacts. The question is, what details are you leaving. We help our clients understand the messages their business should be communicating with their branding and ensure all items, including business cards, are saying the right things. When we design business cards for our clients, we always start from scratch and create a great card just for them. We consider the information that needs to go on the card, and think long and hard about how best to present this. We then print fantastic quality cards that will leave a lasting impression with your contacts.